“¿Dónde Están las Llaves?” is a typical song to sing in a circle or as you jump the rope. Although it is believed to be very old and that it comes from France, it is one of the best-known children’s play songs in Spain. Although depending on the area it may be more or less known, the truth is that this song is sung in all Spanish-speaking countries, with small variations. 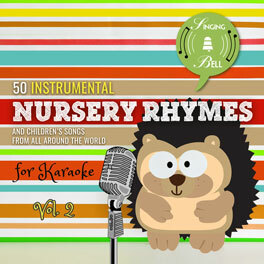 It is very interesting for the younger kids because they can memorize, sing and interact with it. Its “matarile, rile, rile” chorus is very catch, although we do not know what it means. Curiously, students of folklore and children’s songs suggest that it comes from the Andalusian Arabic “ma tarí li, ríli, ríli” which would mean something like “what you are going to guess, guess it”. 4. ¿Quién irá a buscarlas? 6. ¿Qué oficio le pondrá? 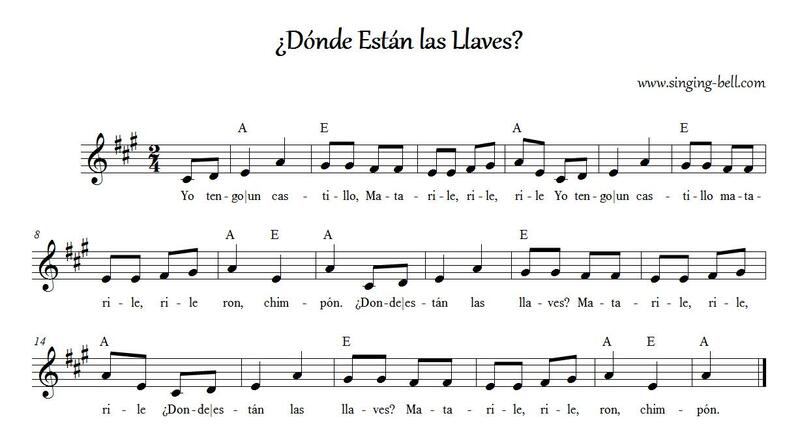 To save this free music sheet of “¿Dónde Están las Llaves?” to your computer, right click (or tap and hold, on mobile devices) and choose “Save Image As…”. 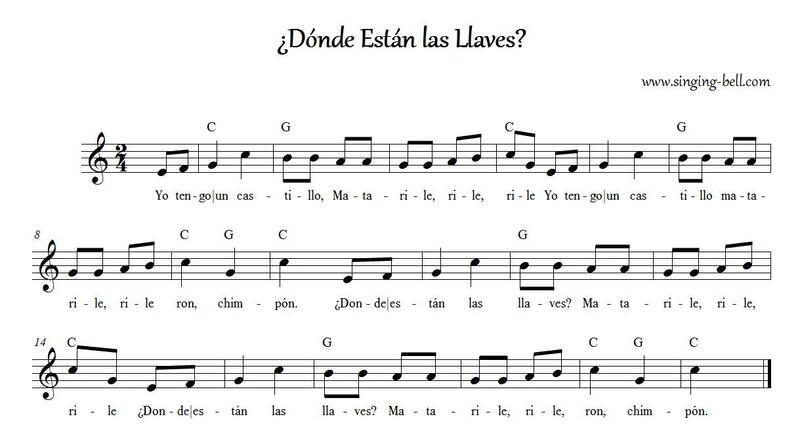 To download a ready-to-print PDF of “¿Dónde Están las Llaves?” for music activities with a music sheet, lyrics and a colouring sheet for kids, right click (or tap and hold, on mobile devices) on the following link, then choose “Save link as…”. 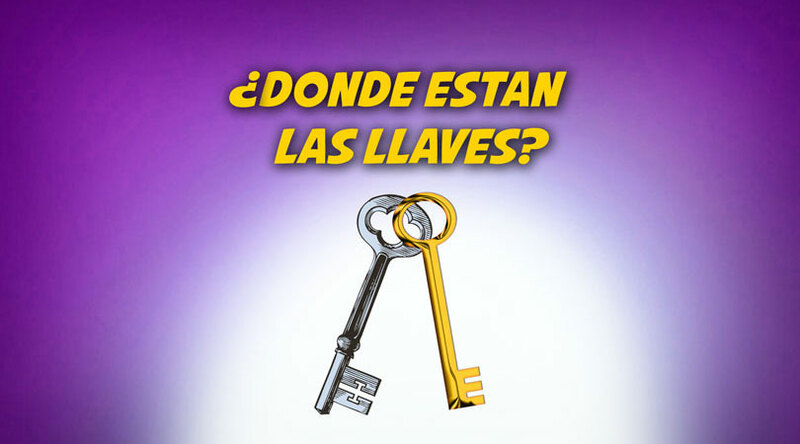 To be able to watch “¿Dónde Están las Llaves?” any time you’d like to on your tablet, smartphone or other mobile device, click on the following link to download the video file (mp4 format). 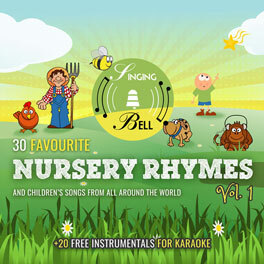 The kids are placed in two rows facing each other and play a question-and-answer game, moving towards the other row while singing the first line and going back to their place walking backwards at the second line of the verse. Alternately, it can be one verse each: the first row advances on “Tengo un castillo” and returns on “matarile, rile, rile”, advances on “Tengo un castillo” and returns on “matarile, rile, ron – chimpón”. On the second verse, the second row of kids does the same and so on. 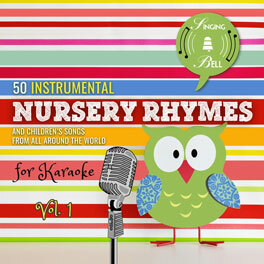 At the 5th verse, the “Mother” (the teacher or a designated child) takes one of the kids by the hand, names him/her in the song, and they dance between the two rows to the rhythm of the music, while the rest tare clapping and moving to rhythm.